in Xela Guatemala- all for a fair price? I want to welcome you to the school and please take a moment to learn more about us. 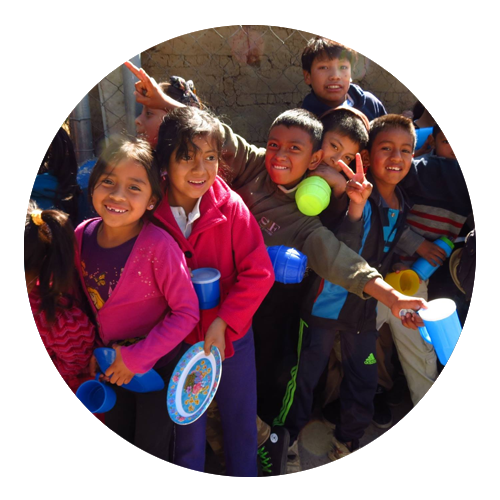 Here at Kamalbe School we provide one-on-one personalized lessons and all the proceeds are used to keep supporting the health and educational programs we organize in communities near Xela. We are also a social organization which strives to provide students and other ​interested individuals with meaningful volunteer work during their time in Xela. Kamalbe School is located in the heart of the historical center of Xela. schedule for adults and teenagers wishing to improve their Spanish online. ​so do not wait any longer and apply today! Go to "Learn Spanish" > "Spanish Online Program", and check it out! Do you want to support a social Program? Please take a minute to read about Kamalbe Students experiences! If you would like to write a review for Kamalbe, we really appreciated it! Are you a College student or a graduated professional looking for some experience for your curriculum? Trying to help with your expertise in rural communities of Guatemala? Looking for an opportunity to practise your Spanish in a professional field? Please take a look of the opportunities available for you! Learn more or contact us at kamalbeschool@gmail.com. conversational/intermediate as we have a diverse bilingual team. a few weeks in our volunteer program. Kamalbe offer new Legal Services for Students/volunteers and foreigners who might need some legal support in Guatemala. Attorney and Notary Services available. Please contact us for Maya Language Interpreters. Over the past several years Kamalbe has worked with local communities to develop a team of trained professional interpreters. If you are looking for an interpreter, or want to support the work of indigenous community organizations In Guatemala, please contact us.